The role of hair in defining the personality of an individual cannot be ignored. The outlook of a person is highly dependant upon the hair style and hair quality. A good hair style can only be attained if the hair are healthy, strong, and luscious. An individual can improve the quality of the hair with proper hair care. The type of hair care would vary according to the hair type, viz. oily hair, dry hair, and normal hair. There are numerous products available in the market these days, which boast of improving the health and vitality of the hair. However, these commercial products contain extensive amount of chemicals which are detrimental for the health of the hair. Therefore, instead of making use of chemically enriched store bought products, it is advised to follow natural remedies with respect to hair care. There are a number of home remedies which would tremendously help in enhancing the strength and health of the hair, without posing any kind of risk. Natural hair grooming products are very effective and would start delivering effective results soon, if followed regularly and dedicatedly. In the section below, we are going to discuss about certain hair care home remedies, which would be beneficial for all hair types. Massaging the scalp with warm essential oil is one of the most important hair care practices, which should be followed by everyone. An individual should massage the scalp with warm olive oil, coconut oil, almond oil, or jojoba oil at least twice in a week, so that the hair obtains required nourishment for proper growth. This practice would not only help in improving hair growth, but would also aid in moisturizing the hair. The dry and rough hair would become soft and smooth with the aid of regular scalp massage. Also, the strength of the hair would be improved. Further, the problem of hair loss would be prevented with the help of regular massage of the scalp. It is recommended to provide warm oil massage to the scalp in the night, so that the oil penetrates the hair properly. The hair should be washed next day in the morning to attain best results. Keeping the hair properly hydrated is highly advised, so as to maintain the softness, shine, and strength of the hair. The hydration level of the hair would be improved with the help of ingestion of ample water daily. It is advised to consume around 2 litres of water daily, to keep the hair properly hydrated. Well hydrated hair are strong, healthy, soft, and shiny. Irrespective of the hair type, a person should make sure to maintain proper hydration level of the hair. A home made pack made of mayonnaise is considered to be quite effectual with regard to treating dry and rough hair. Mayonnaise should be applied on the hair thoroughly, and allowed to stay on the hair for around two hours, before washing the hair. This would help in providing deep conditioning treatment to the hair, hence making the hair soft and silky. The mayonnaise pack should be applied on the hair once in a fortnight to improve the condition of the hair naturally. The problem of hair dryness would be gone gradually with the help of this treatment. Avocado based hair pack is regarded to be a very good natural treatment for dry and brittle hair. The hair frizz would be eventually gone with the aid of application of hair pack made of mashed avocado, honey, and olive oil. The hair should be covered with a shower cap after the application of this pack, which should be allowed to stay on the hair for around an hour. Thereafter, the pack is removed to attain soft, lustrous, and beautiful hair. Washing the hair with a mix of water and apple cider vinegar would help in attaining bouncy and shiny hair. 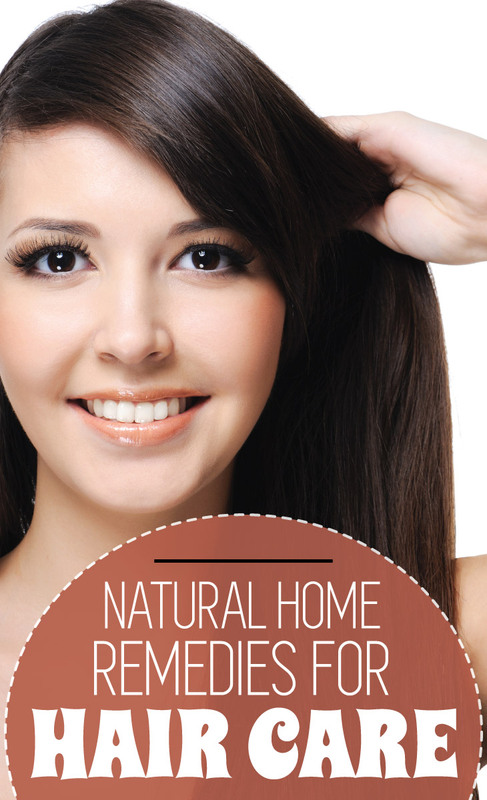 Honey works miraculously to improve hair’s health. The problem of frizzy and tangled hair would be treated with the aid of use of honey on the hair. A hair pack consisting of cream and honey is prepared and applied on the hair. It is removed from the hair after around half an hour to obtain shiny and moist hair. Dandruff is one of the severe hair problems. A home made pack of mustard oil, coconut oil, and castor oil would work wonders with respect to getting rid of dandruff from the hair. The oil mix should be massaged on the scalp properly, so as to lubricate the hair and scalp thoroughly. Regularly using this treatment would help in getting rid of dandruff naturally. Application of eggs on the hair is a very effective remedy for keeping the hair soft, shiny, smooth, and luscious. People with oily hair should make use of yogurt or vinegar on the hair. These are natural hair care solutions to ward off excess oils from the hair. One of the most important hair care activities is not washing the hair daily. You should not wash your hair daily, so that natural oils in the hair are not stripped out. The process of hair washing should be limited to only twice or thrice in a week, so as to retain the hair’s natural oils, hence helping to guard the hair from becoming dry and brittle. Massaging the scalp with a blend of aloe vera extract and any herbal oil would be of tremendous aid in replenishing the lost moisture in the hair. Also, this home treatment would aid in nourishing the hair properly, consequently improving the health and vitality of the hair. All the home remedies discussed above do not have side effects and would naturally help in keeping the hair in good condition. Hair problems like dandruff, hair loss, hair frizz, and hair dryness would be kept at bay with the help of above described hair care home remedies.